Our client, Miss N suffered symptoms consistent with a heart attack after adrenalin was incorrectly administered, into her vein, rather than into her muscle, by a paramedic during an anaphylactic reaction. She suffered a psychiatric injury as a result of her traumatic experience. Late one evening, Miss N experienced symptoms consistent with an allergic reaction to food, including swollen lips, wheezy and restricted breathing. She therefore called 999 who dispatched an ambulance. Soon after arrival, the emergency services’ technician administered a dose of adrenalin but unfortunately, administered this intravenously (into the vein) instead of intramuscularly (into the muscle). Immediately after the injection, Miss N became tachycardic (heart rate exceeds the normal resting rate), sweaty and vomited. She complained of chest pain and believed that she was going to die. Her electrocardiogram (ECG) (simple test that can be used to check your heart's rhythm and electrical activity) was extremely abnormal. The symptoms indicated she was suffering from myocardial ischemia (when blood flow to your heart is reduced, preventing it from receiving enough oxygen). Miss N was taken to hospital and had a number of admissions before eventually being discharged by a cardiologist three months later. The defendant admitted that it was a breach of duty to have administered adrenalin intravenously instead of intramuscularly. Fortunately, Miss N’s cardiac expert was of the view that she had not suffered any cardiac compromise as a result of the negligence, although he reported that this was an exceptionally complicated case. However he was very concerned about Miss N’s mental health as a result of her near death experience. Miss N was therefore assessed by an expert psychiatrist. 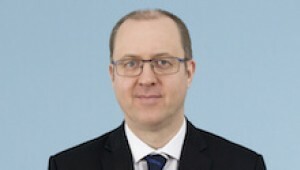 Jonathan Herbert, specialist clinical negligence lawyer, acted for Miss N in her claim for compensation and negotiated an out-of-court settlement. Jonathan Herbert specialises in clinical negligence cases. If you would like to ask Jonathan a question about a potential case, or if you have a general query about any personal injury claim, contact Jonathan Herbert at Thomson Snell & Passmore solicitors on 01892 701126 in confidence.